Eep opp ork, ah-ah, that means I love you. 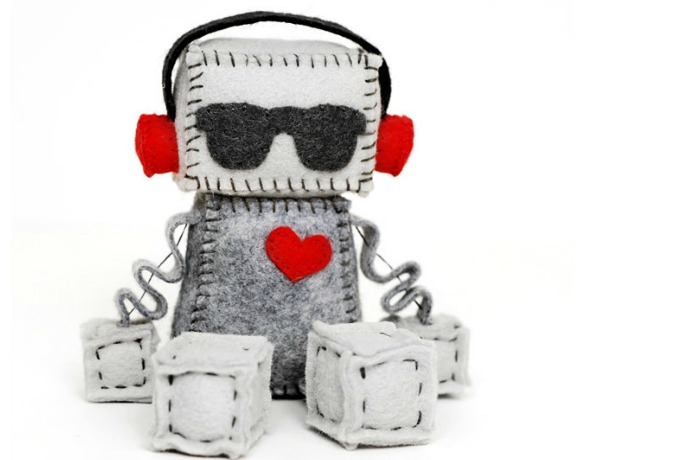 Today we’re wishing all our favorite techie parents a very happy Valentine’s day with the help of some Jetson’s lyrics, and a collection of super cool handmade punk felt heart robots courtesy of Utah crafter, Ginny Penny who makes what she calls “messy little robots.” Aren’t they the best? They’re longer lasting than flowers, less caloric than champagne truffles, and would look pretty fab propped up on top of my laptop monitor, which is also something I can’t say for either flowers or truffles. 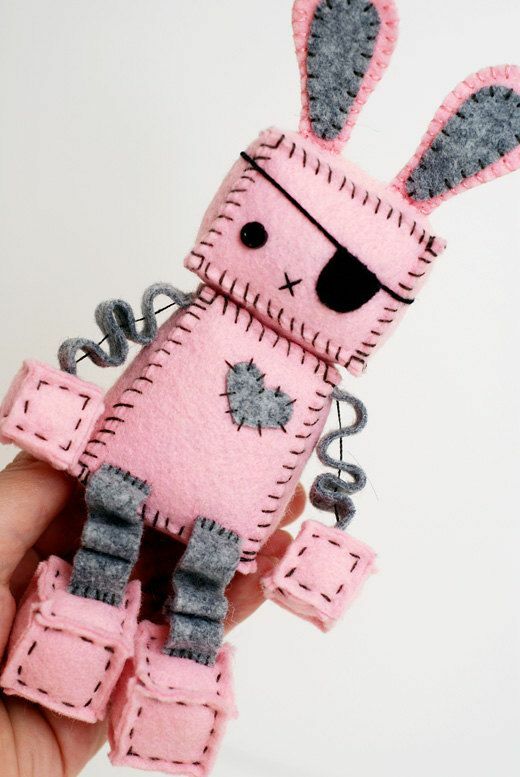 I am absolutely bookmarking this shop for birthdays, anniversaries, Mother’s Day, Easter (that bunny!) 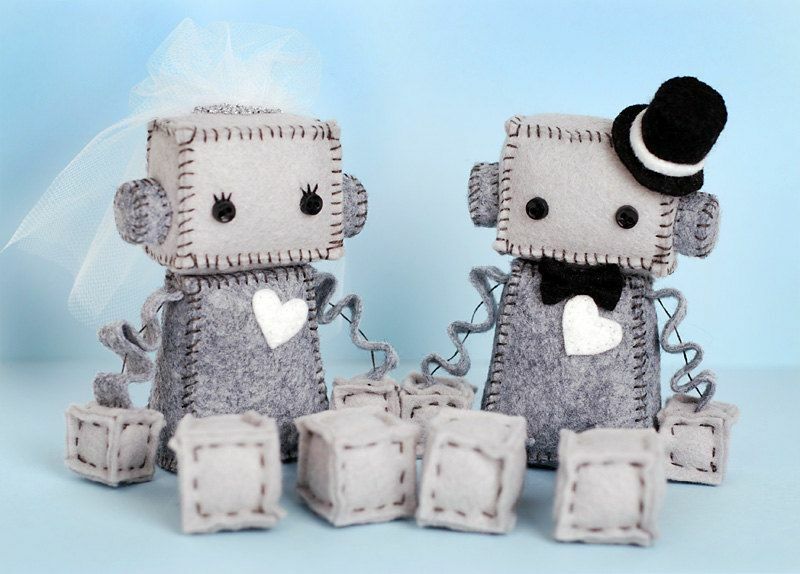 and hey, she even makes wedding cake toppers for those of you really committed to geek romance. 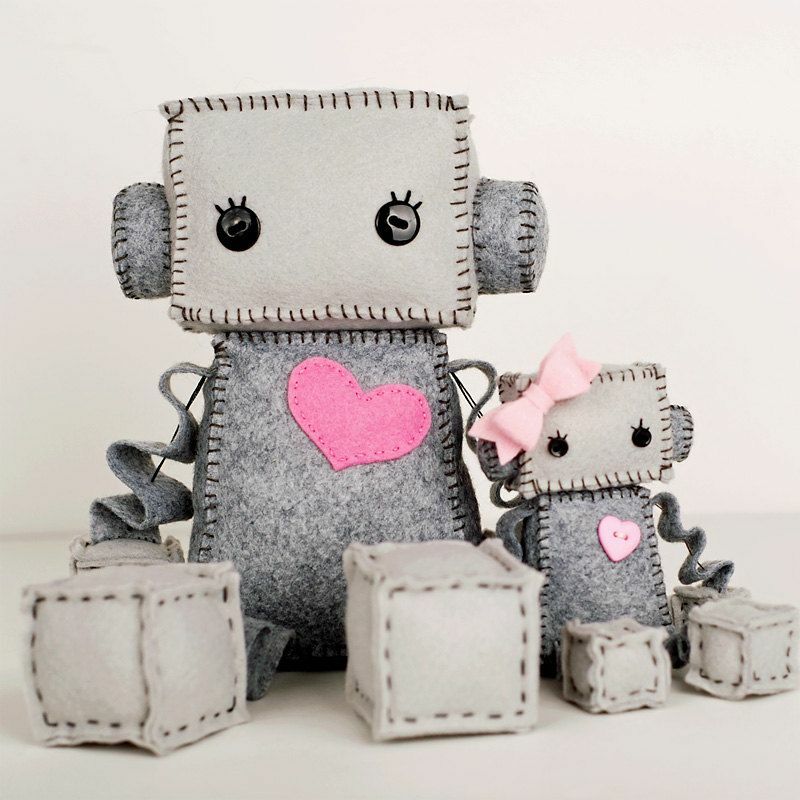 Find all kinds of wonderful handmade felt love robots at Ginny Penny on Etsy. And have a great Valentine’s Day, cool parents!